The countdown is a retailing corporation which is based in New Zealand and it has the full range of services for a supermarket chain. The Countdown New Zealandis basically a subsidiary of progressive enterprises which is being operated. The company and its operations are spread across New Zeeland. The Countdown New Zealand is a subsidiary of the Woolworths Limited which is also operating in the Australia. The company is operating in retailing business and it is one of the largest single supermarket chains for retailing goods which are in New Zealand. The volume of a company is in terms of its large number of grocery stores. These stores are engaged in the selling of diverse items and products and services for apparel to home appliances, and electronics. Although the operations of the company are diverse, its operations are mainly running as grocery stores in the country. Besides that, the company has also smaller supermarkets which are being operated in rural communities. This supermarket is quite larger with 275 numbers of the franchised shops in the area. The company is going in profitability and its financial conditions are sound. The company was found in 1981 and its number of employees is 18,000. These employees are in the position to run the operations and process of the company. Retailing is the business which is closely associated with the supply chain of its products and the services. Therefore, the establishment of the supply chain for the Countdown New Zealand is not an exception. The company has the strong network of the supply chain. However, presently, the integration of the supply chain is an issue. The company needs to improve the supply chain integration in order to produce efficiency in its supply chain operations and processes. The following report is also established in order to make sure that the current issues in the supply chain of the Countdown New Zealand and how they could be managed effectively in that regard (R. Glenn Richey, Roath, Whipple, & Fawcett, 2010). Supply chain integration is one of the most important challenges which are being faced by the companies. Supply chain integration is the close alignment and collaboration of processes and operation in the system. The supply chain integration involves all partners from raw material acquisition to manufacturing and the support of the services with its delivery. One of the reasons behind ineffective supply chains is the lack of the supply chain integration. Moreover, it also impacts the performance of the supply chain in that regard. The supply chain integration and the sustainability required that there would be the sound selection of the supply chain initiatives. It is to be noted that the Supply chain sustainability is exclusively a business issue. This business issue affects an organization’s level supply chain. It may also impact the logistics network in an influential way. Moreover, the terms of environmental as well as risk and waste costs are so prominent and considerate in that context and it is most important (Walker & Jones, 2012). It is a burning issue and the countdown New Zealandis also facing a growing need for its high level of integration for the sake of the environmentally sound choices. These choices will enhance its positive impact on the environment. Moreover, they will also impact the impact the low level of waste in the supply chain operations and the processes which are associated worth the supply chain. This not only impacts the profitability of the company but also improve its supply chain processes. The countdown New Zealandis needed to interconnect all of its supply chain players in the more effective way. It is to be noted that the sustainability in the supply chain for countdown New Zealand is increasingly emerging as an important issue which is seen among high-level of the executives which are considered asan essential to delivering the long-term profitability levels and has replaced lot of the monetary cost as well as value and speed of the retailing process in the chain. Therefore, this is the dominant topic and the level of the discussion which is among the purchasing of the supply professionals. Moreover, a sustainable supply chain is also required which is needed to be seized as a value creation opportunities for the countdown New Zealandwhich offers a significant level of the competitive advantages in that regard. This is for early adopters as well as the process innovators in that context. During recent years there is a significant increase in stakeholder pressure to provide push sustainability into the supply chain, investors, customers, nonprofits and shareholders increased this pressure. There are a record number of resolutions from the shareholder in supply chains during the past two proxy seasons. After these variations, a new Global Reporting Initiative (GRI) G4 Guidelines that is also known as GRI need an improved attention towards sustainability in a supply chain. There are different ways to increase productivity, saving costs, finding of innovations in and conservation of resources and all of these can be achieved by increasing both social and economical performance of supply chains. Another factor to improve supply changing is provided improved environmental. According to analysis and research, it is clear that sustainability of business is increasing. A number of companies work to increase their sustainability by including suppliers and by an implementation of programs. According to analysis and report provided by UN Global Compact, this report 2013 Global Corporate Sustainability Report, there are improvements in companies because they are concerning about supply chain sustainability and solid progress can be obtained by setting an expectation of companies suppliers. All of these operations and activities must be interrelated with each other. The more there will be integration, the more will be effective supply chain for retailing of the clothing at countdown New Zealand. This will lead to the low level of wastage of the resources. Finance and IT department must work together in order to forecast the demand and the provision of the right amount of funding in that regard. The IT and the finance department can work together in order to accurately forecast the demand for the cloth retailing on the basis of the seasons and demands for countdown New Zealand. Besides that, operations, procurement, and purchasing must integrate in order to have the clothing retailing in hand. The procurement of the clothes can be made with the upward clothing companies which are operating gain the market. These companies manufacture the cloth on bulk and the long term relationship with these companies is quite important in order to make the retailing effective and results oriented. Sourcing and the logistics are also important. Presently, the company is using its own fleet of the transportation. The fleet is made up of the several numbers of the trucks, jeeps and other vehicles which deliver the clothing to particular stores in a network of the outlets. Thus, these are the important steps which have taken by the company in order to develop a logistic network for the company in order to deliver the clothing all over the country. The company keeps contact with the cloth manufacturing companies and all of the famous and big brands in the market. These brands thus provide the company with the line of the clothing which is necessary to wear. When all of the above mentioned departments are integrated and work in a cohesive manner, the shortage of the communication eliminated and it is a good sign. The elimination of communication shortage further leads to the improvement in the stock in and out of the company. It is important that all clothing retailing channels at countdown New Zealand must be work in an integrated manner. This type of the integration is quite important for the sake of the elimination of the waste in the procurement process. The constant flow of the information related to the purchase and the sale of the clothing and integration of all logistic framework in the company ultimately leads to the efficiencies in the processing and the operations. Therefore, such kind of the applications and the processing are important. Sustainability has the impact over supply chain but a number of companies never consider these considerations. The initial step is an important step in which it is essential to find the challenges that a company has to face. These challenges include environmental and social challenges for inventory. While discussing the strategy of New Balance Athletic Shoe Inc. they decreased their suppliers and worked on the basis of performance. The company changed their production level they decreased supply chain of footwear up to 65 percent and alternatively increased their partnership with product suppliers. There are some criteria that are helpful while analyzing suppliers such as costs levels, business community significance, and another one is also an important factor that is geography for risk. Some of the suppliers are identified according to their status that relies on the strategic status and impact, identification of such suppliers is essential. Suppliers provide analysis about a performance of designed program and demonstrate improvements made Tier 1 and Tier 2 suppliers provide information. Four groups of the supplier are differentiated according to environmental outcomes and include certain key performance indicators (KIPs). Incorporating sustainability has been initialized by CH2M Hills organization in specific terms such as design, procurement, and construction of designs they provide valued sustainability. Having complete analysis of sustainability enables to have communication with suppliers and customers and transfer corporate values and cultures. Sustainability efforts work to establish the sound relation with suppliers but it is a critical kind of work that provides the higher probability of sustainability. Different tools and methods work to generate the development of supplier relation. For instance, compact publications of United Nations global offer such type of opportunities. The Countdown New Zealand needs to establish Multivariate optimization. The multivariate optimization is one of the most common methods which are being used for the optimization of the products in the supply chain. This method is quite important and it is the for product optimization. 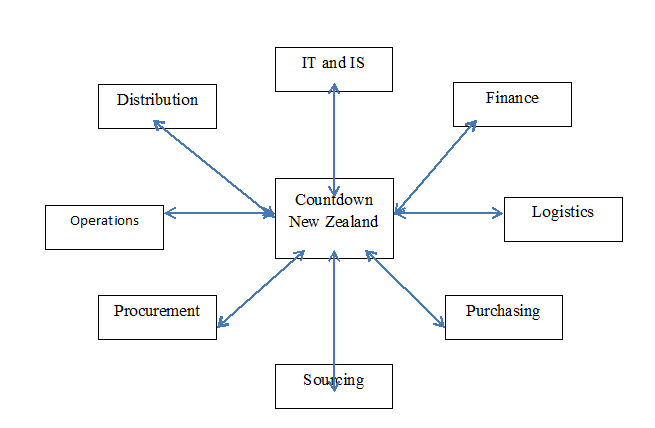 In this method, various and multiple retailing products attribute for countdown New Zealand will be analyzed and specified. Therefore, this has adequately been tested with consumers. The multivariate method is used when a lot of products features and specifications, as well as attributes, are associated with the products. It is then difficult to apply product analyses statistical analysis. Therefore, due to complex nature as well as the interaction of the effects which exist between different attributes and kinds, it is somehow difficult to implement this method. These are important considerations which are needed to be considered in that regard. Theseare thus important implications for countdown New Zealand. For instance, the consumers frequently link and associate certain kinds and the flavors with the accurate packaging colors of the retail clothing, thus in such a situation it is problematic to use mathematical analysis and the methods for countdown New Zealand. For example, such as conjoint analysis which is typically used in an industrial process and its optimization and it is also needed to be applied for the countdown New Zealand. It is to be noted that, more recently, the companies have also started to adopt effective kind of the evolutionary optimization techniques which is quite necessary and it is required for the sake of the product optimization process in that regard. Moreover, the evolutionary algorithms are needed to be frequently used for the sake of the optimization of the clothing. If a company get to differentiate their target suppliers and projected their standards, it can be done by gathering relevant data provided by suppliers through the method of the questionnaire they will come to understand an initial point.Many higher level organizations and companies including U.S. Federal Government determined their outcomes by establishing questionnaire and surveys. Companies are now creating considerations over all areas such as their code of conducts, self-assessments and their weights as they are related to all areas that are equally important in business. Initial point for the planning of future need to improve the sustainability of supply chain is known as the baseline assessment. It helps to find and analyze the essential requirement that is needed for the improvement in the organization. it can be explained by Pacific Gas and Electric (PG & E) that is Electric Utility Industry Sustainable Supply Chain Alliance and finds the response to evaluate top-tier suppliers that find performances such as environmental performance. These outcomes include information about emission of gas due to a greenhouse effect, a creation of the waste and one of the important is energy and water considerations. This analysis put the scorecards for each individual top tier and identification of the abilities and opportunities of all the workers to elaborate busyness in order to reach the target areas. Positive communication with the suppliers often generates encouragement for the advancing but sometimes it is a critical work to do (Sarkis, Zhu, & Lai, 2011) . 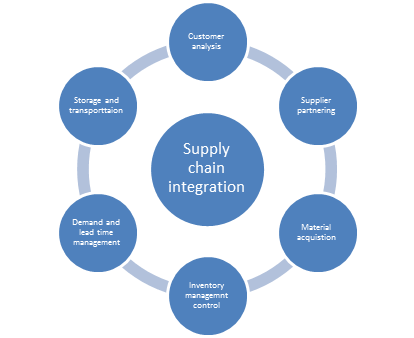 The new supply chain is based upon the rule of integration and the sustainability. The implementation of the new framework provides integration of all activities and the operations and the processes of the company in order to develop effective supply chain. The overall supply chain stages and the processes of the countdown New Zealand will come first. After that, the supply chain process will be integrated with the overall supply chain strategy in the countdown New Zealand. 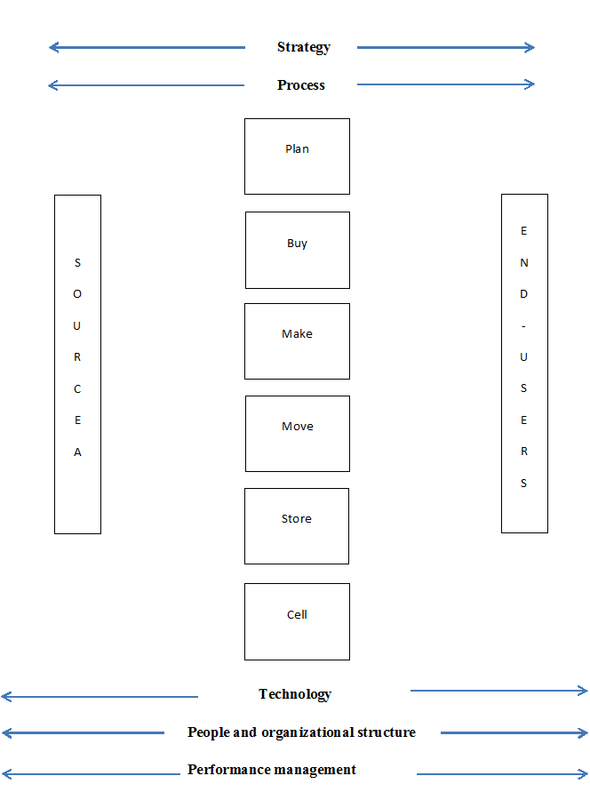 The basic element of the new supply chain model for clothing and retailing include planning, buying and making, moving, storing and selling. Not only all of the operations and the activities in the supply chain will be integrated with each other, the functional departments of the supply chain will also be integrated which include distribution, IT and IS, finance, logistics, countdown New Zealand and Operations as well as procurement and sourcing and Purchasing for the company. Once the selling will be done on the retail basis, it will be backed by the technology, people and organizational structure and performance management. This new supply chain model will be developed, it will bring results and the efficacies and the effectiveness will be brought automatically in the countdown New Zealand. It is considered to be an essential step in order to improve the sustainability and producing variation in the behaviors through the whole process of a supply chain. A number of resources can help and support all such effort at the same way some resources tailored to certain particular areas of requirements.According to our analysis, it is essential to find and transfer the information through the supply chain and ultimately it provides best outcomes (BARNEY, 2012). This process needs deep analysis of top vendor on annual conferences and case studies of such vendors are available on the internet and can be analyzed to generate the capacity of building strong impact (Brandenburg, b, Sarkis, & Stefan, 2014). This plan provides information about the plant and the equipment which is being used in order to improve the supply chain processes and the operations. The elements in the investment for supply chain include Plant and machinery, property and equipment, the gross level which include land, building, machinery and the equipment. The amount is calculated in US million dollars for the three years which include 2017, 18 and 19. The details of the financial plan are given below in detail context. It is necessary that the inventory of the clothing for countdown New Zealand must be effective and at the optimum level. The inventory shortage and the excessive both should be needed to counter. The excessive inventory in the stock leads to the deterioration and the decrease in the quality and ultimately the financial losses. On contrary, the shortage of the clothing inventory leads to the switching of the customers. Therefore, both kinds of the situations must be needed to deal and it is important to consider both kinds of control measures. The smooth flow of the communication is necessary in order to deliver a right and accurate amount of the information which is needed to be delivered in order to disburse and acquire the inventory. All supply channels must inform about the latest kind of the information about the inventory which has been delivered and provided. The lack of information and data could lead to the interruptions in the supply chain and the management of the inventory. Audit programs can be used to find and measure performances and improvement in a supply chain during the specific time. Some companies use self-assessment that can be done by corporation of different groups, for instance, EHS, sudden audits to find local areas, both types of behavioral challenges are included to find the improvement in an organization. But identification of such factors is sometimes not possible by using questionnaire. If for the first time a company can perform audit program then it will be able to find all the advancements that have the impact on the communication and results of communication with suppliers connected with the company. This determined audit program can work to provide a capacity building programs in case if they are essentially required. Incentive programs and sustainability of these programs involves assessment and audits. These programs are able to find sustainability of the outcome. In order to find improvement, there are two factors that have the great impact on estimating improvement. These programs include the appreciation of transparency and selection of suppliers. It is sometimes impossible that incentive can approach value chains and customer access that effective process for a supply chain. Stock movements are also required and it is quite important to note that inventory must be replenished and move in time. These are the several reasons that the stock must be moved accurately. The reason is that it must be replenished in time and the delay in the stock should not be there. It is important for the allocation of clothing in the company for the sake of the retailing purposes. Stock lead time and just in time inventory are also needed to be implanted. Thus, these are the most important things to be considered. The integrated network of the transportation is necessary and it has to be done in order to make sure that the customer of the countdown New Zealand is not switching due to the shortage of the investor. Moreover, the presence of the right amount of the inventory is also an important thing which is needed to be considered. The storage area and the equipment must be latest and it has the capacity to store enough and a large amount of inventory in it. If the storage place is short and it is not in opposition to keep enough amount of the equipment, it could lead to the deterioration of the equipment in the warehouse. Therefore these are the important implications which have been considered. These policies are important in order to make sure that the right level of the inventory has been stored in the warehouse. Moreover, there is need to have multiple and small warehouses. This is necessary because instead of keeping a large number of a material of clothing in one warehouse, it is better to divide the retailing strength into multiple small storage houses. It will be thus easy to acquire inventory from such warehouses and utilization for the sake of the selling. Thus, multiple warehouses are the need of the time. It can be concluded that in order to improve the supply chain processes and operations at countdown New Zealand, there is need to implement an integrated and supply chain model. The integration and suitability have positive environmental impacts in terms of the cost efficiency and sustainable environment. Per unit cost of the supply chain process also reduced and it is feasible for the company. In addition, integrated model of a supply chain is provided which include warehousing, procurement, selling, operations, procurement, sourcing, purchasing, logistics, finance, and IT and IS and distribution. A number of companies find it impossible that some complex challenges of supply chains cannot be resolved if they work individual the only way is to solve by collaboration. In a competitive environment, it seems somehow difficult to work as sometimes it is possible that they set similar standards for sustainability and it may make it possible to find metrics. Cooperative working of companies help to find and reduce certain fatigues, mountains of manual work such as paperwork are required to done. Cooperation of other company reduces it and share knowledge that is essential for the sustainability of performance. Benefits associated with mature suppliers are given as Perform monitoring tools including tracking tools and software to find improvement and performance.It helps to find logistics assessment that helps to find improvements in sustainability. Find sustainability of procurement process. Creation and possibility of the shifts that grows towards sustainability by leveraging or purchasing any powerful thing, elaborate sustainability goals, and operations that approach to supply chain. Encourage innovation but keep realize that it is not a bigger risk. Bose, C. (2006). Inventory Management. Prentice Hall of India. Day, M. (2002). Gower Handbook of Purchasing Management. Gower Pub Co.
Monczka, R. (2015). Purchasing and Supply Chain Management. Wiley. Piasecki, D. (2009). Inventory Management Explained: A focus on Forecasting, Lot Sizing, Safety Stock, and Ordering Systems. Ops Publishing. Baily. (1976). Purchasing and Supply Management. wiley . BARNEY, J. B. (2012). PURCHASING, SUPPLY CHAIN MANAGEMENT AND SUSTAINED COMPETITIVE ADVANTAGE: THE RELEVANCE OF RESOURCE-BASED THEORY. Journal of Supply Chain Management , 3-6. Brandenburg, M., b, K. G., Sarkis, J., & S. S. (2014). Quantitative models for sustainable supply chain management. European Journal of Operational Research , 299–312. Ford, D. (2001). Understanding Business Marketing and Purchasing. Cengage Learning EMEA. Ghamami , O. (2013). World Class Contract Management – The Ultimate Reference Guide for Purchasing Professionals. Lulu.com. Harding , M. (2001). Purchasing (Barron’s Business Library). Michael Harding. Muller, M. (2011). Essentials of Inventory Management. AMACOM. Nelson, R., Moody, P., & Stegner , J. (2013). The Purchasing Machine: How the Top Ten Companies Use Best Practices to Ma. Free Press . R. Glenn Richey, J., Roath, A. S., Whipple, J. M., & Fawcett, S. E. (2010). EXPLORING A GOVERNANCE THEORY OF SUPPLY CHAIN MANAGEMENT: BARRIERS AND FACILITATORS TO INTEGRATION. JOURNAL OF BUSINESS LOGISTICS , 31 (1), 237-235. Sarkis, J., Zhu, Q., & Lai, K.-h. (2011). An organizational theoretic review of green supply chain. Int. J. Production Economics , 1–15. Schroeder , R., Rungtusanatham , M., & Goldstein, S. (2012). Operations Management in the Supply Chain: Decisions and Cases (McGraw-Hill/Irwin Series, Operations and Decision Sciences). McGraw-Hill Education. Weele, A. v. (2004). Purchasing and Supply Chain Management. Cengage Learning Business Press.